FlexiFit 405 Elbow Kit Discounts Apply ! 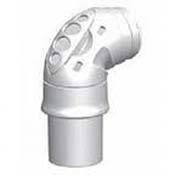 Replacement Elbow kit for FlexiFit 405 Nasal Mask. Includes elbow, swivel, diffuser cap & material.